One of the important roles of HiRISE is to take high resolution images of potential landing sites for future landing missions. 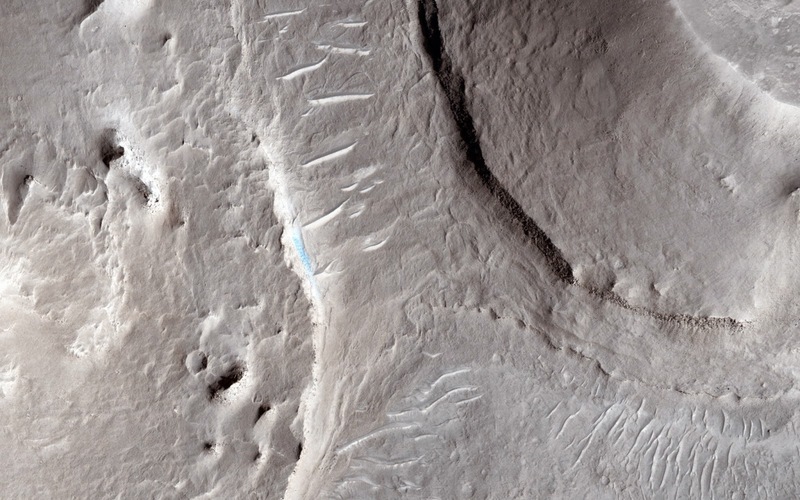 This image is of an area called Aram Dorsum (also known by its old name, Oxia Palus) that has been suggested for the 2018/2020 ExoMars Rover, because it contains an ancient, exhumed alluvial system. Imaging is needed both to check for boulder fields and other obstacles, as well as checking the scientific justification for choosing a site. This image is one part of what we call a stereo observation, where taking a view at a different angle from another orbit of the same areas will allow a 3D model (a digital terrain model) to be prepared. With this model, accurate measurements of slopes can then be made. Although it won't show the exhumed alluvial system, images of the area are needed to characterize the landing site. The main image of the Aram Dorsum site contains a relatively fresh, 150-meter diameter impact crater with associated boulders. 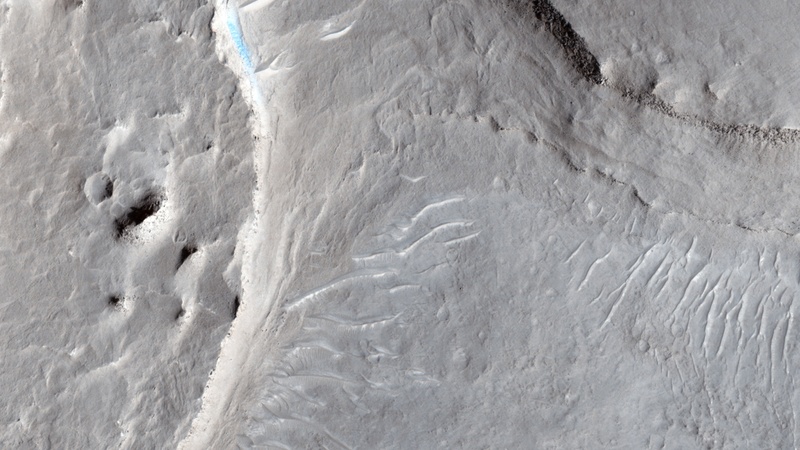 This small (1 kilometer square) part also shows signs of erosion into an overlying plateau, plus recent formation of some transverse aeolian ridges (called TARs) within the resulting valley. Overall, however, the site has relatively few obstacles for a lander. This is a stereo pair with ESP_036740_1880. Note: For more information, see PIA18773: A Possible Landing Site in Aram Dorsum for the ExoMars Rover.